This is probably the anthem for all of us who are Guy of Gisborne lovers, and it certainly is for 01Cheers on Livejournal. She has set up a shrine (those are her words) to Guy. If you haven’t already, check it out. You can click “Serious Guy Addict” under the Addict List. Of all the links I have listed on my blog, hers is clicked on the most. Gee, I wonder why. And if you appreciate all of her hard work, please let her know it. Once the dust settles from Strike Back, I’ll probably be examining every little aspect of Guy. I’ve already started on this, but I’m probably going to take the first part of the summer to continue with it. What else can I do while we’re in a drought? Oh, and I’m sure it doesn’t matter if you’ve heard what I’m going to say already. If you’re a Guy fan, you will probably consume it, because you know it will either confirm what you think or give you food for thought. Whatever, the case, you’ll be thinking about Guy and looking at pictures and videos of Guy, and that’s the point isn’t it? Oh, wait! I almost forgot my gratuitous pic. A scene from Season 1 Episode 4 Parenthood, in which Guy is particularly nasty. But I’m sure I don’t have to tell most of you that, and I’m sure it doesn’t keep us from admiring that picture. Hey, Richard Armitage probably thinks we’re all nuts anyway. I figure I’d rather be hung for a lion than a lamb. Is that mixing metaphors? Oh well, literature never was my forte. LOL! 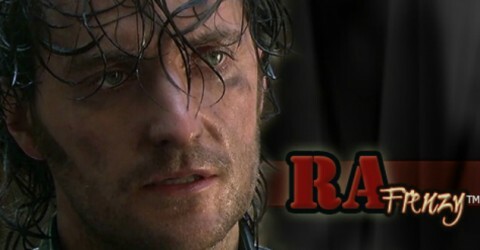 Yes, I’m still going to post about RA’s eyes, but I’m searching for a particular screencap. May have to breakdown and make it myself. edit: I guess the Guy movie 01Cheers made was deleted from online storage. If you want access to it, send me a note. I do think he must think we’re nuts. Here he is trying his darnest to play a mean baddie of course in the end we could somewhat justify our love through his redemption. Nice picture, luv that stubble. JP should have had more, as a soldier in the rough! 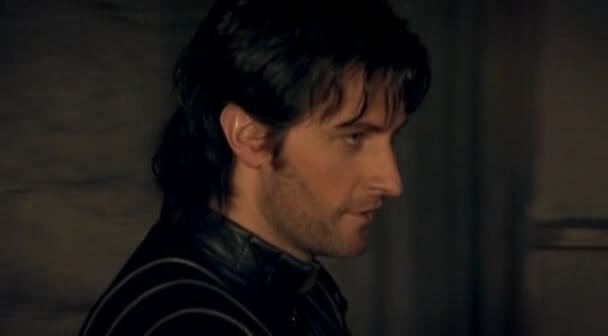 My Gisborne posts are most clicked on too. I’m not particularly popular with Guy fans. I don’t dislike the character – far from it, but I don’t understand the adulation. I’m still trying to work it out! That’s what makes things interesting. If we were all in lock step, it would be boring. I don’t really understand the adulation myself.